Reebok is a familiar name to those who look for quality and durability in their footwear. 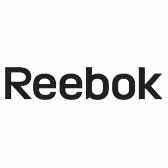 Reebok has been outfitting the world with high-quality athletic products for many years, which is one of the reasons they are a trusted household name for millions. Although Reebok is often associated with sports and workout gear, the company has diverted slightly to include its own line of safety shoes. Known as Reebok Work Boots & Shoes, this collection of hikers, safety tennis shoes, and safety boots come straight from one of the top athletic shoe brands in the world. The new Reebok work shoes are made for both men and women who want safety shoes with an athletic touch. Reebok Work safety footwear is composed of both soft toe and safety toe footwear. You can rest assured knowing you have Reebok on since all Reebok safety footwear meets or exceeds ASTM standards for protective footwear. Shop at Working Person’s Store for the latest on Reebok work footwear. Each pair of Reebok boots or shoes offers a varying level of safety features, so you can find the pair that fits your needs perfectly.